Mother Flipper has started a new residency at No 10 Coulgate, in Coulgate Street SE4, just round the corner from Brockley train station. 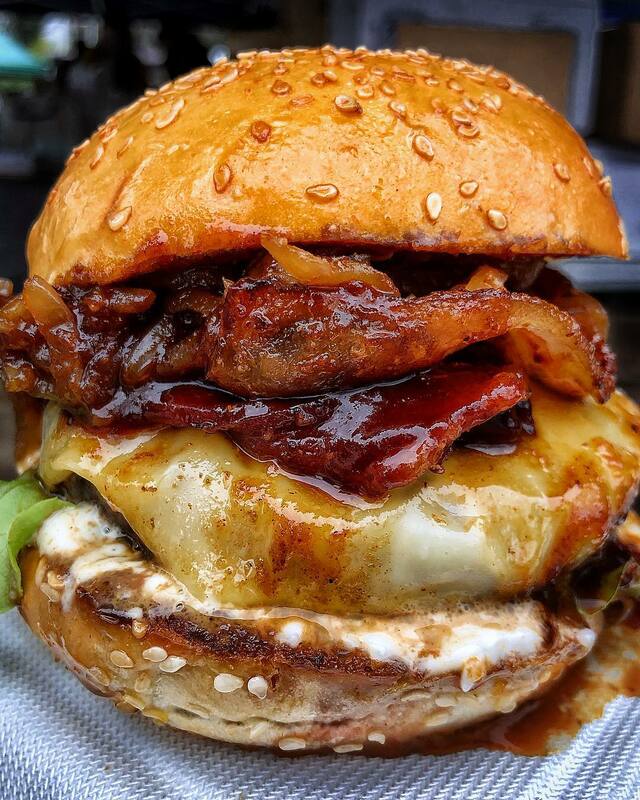 Go for Mother Flipper's excellent burgers - also to take away - and as it's BYOB don't forget to visit Salthouse Bottles opposite for drinks before you arrive. It's open Wednesdays to Sundays til the end of April. Brockley is hosting more and more pop-ups these days - looking forward to visiting! "Since day one, we’ve always been gunning to get into a kitchen and flip next level burgers for y’all to enjoy in comfort and we are PUMPED to announce we will be taking up a 4 WEEK residence @no10coulgate starting 04 April in addition to maintaining our normal markets! Full menu to come but you can be sure you’ll find ALL the classics and some crackers we’ve been developing behind the scenes. You can even BYO from @salthousese4! Keeping the Brockley vibe strong. So please come down to say hi, show us some love and spread the word!"